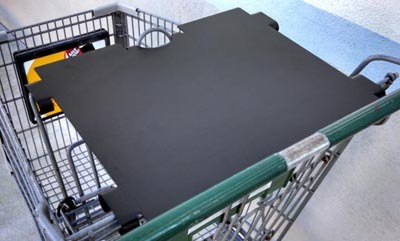 All of our Compucart Trays are made in America, with premium quality American products. 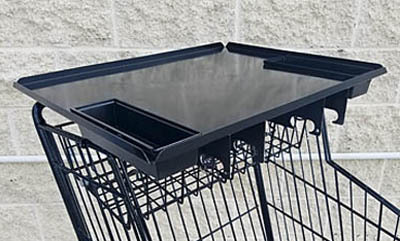 When ordering 3 or more trays please call 760-868-2450 for discounted shipping rates. 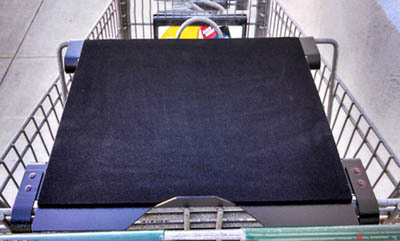 Labor, time saving and organizing tool made of durable, anti-static polypropylene also makes a great shopping cart coupon organizer! Work and input information with confidence and ease while leaving your iPad safely on your tray, or easily remove and replace for scanning. 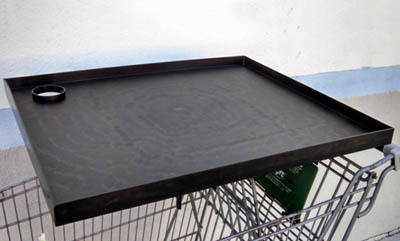 This tray protects from the built up static electricity that a representative generates! Made with anti-static material and lightweight, sturdy aluminum. 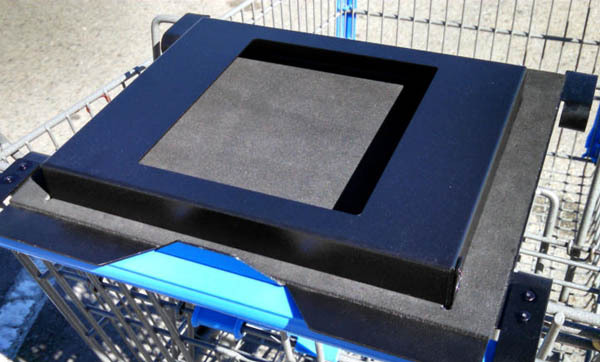 While protecting your laptop or iPad from static electricity, the anti-static material on our trays help keep you electronic device from slipping while providing a stable work surface for your device. Walk into the store with this tray under your arm since it is made of lightweight, sturdy aluminum. Labor, time saving and organizing tool made of long lasting aluminum. This replaces the cumbersome utility cart that an employee has to consistently hunch over to use. Work hands free with our secure tray that allows you turn your back without worrying your iPad will be stolen. The locking cover easily unlocks in 2 seconds. It is equipped with anti-static material to protect from static build up along with lightweight sturdy aluminum. Provides stable, secure platform for portfolio/computer bags and notebooks. It eliminates fumbling for a more efficient sales call while it serves as a organized mobile desk. Disclaimer: Compucart does not warrant or manufacture computer software or hardware. Compucart makes no representation or warranty regarding the suitability or performance of computers that may be used in connection with our product. 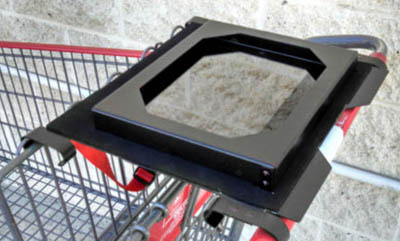 Compucart makes no warranty regarding use that exceeds ten pounds in conjunction with the Compucart Tray.